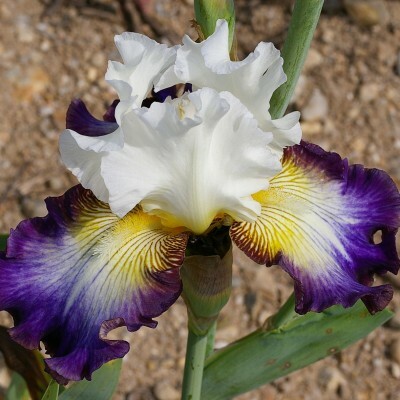 Perhaps the deepest golden iris. 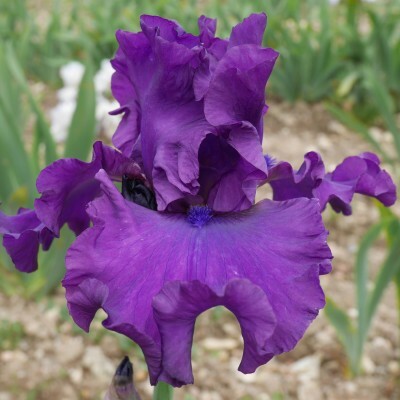 The colour is absolutely plain on the whole flower, which has silky falls. A real gleaming beauty! 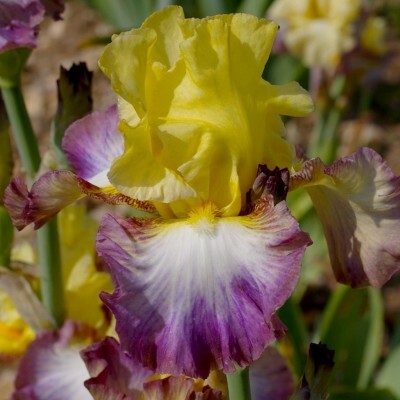 Resembling its father, 'Irisades', but with standards of a rather soft yellow with a slightly amber border, and boasting white falls with large purple-pink edges. Beards are of an orange yellow tone on a bed of yellow to brighten up the heart. abundant flowering: 1à tp 12 flowers per stem. Something new on Planet Iris! White standards with a hint of cream tone. Falls lie semi-horizontally with a white heart infused with olive-yellows framing the beard, then turning to a sustained amethyst tone on the edges. Bright egg-yellow beard with a white tip. Stems with well-balanced buds. (6 to 8 on average).